Want to learn more about Non-Euclidean Geometry? Visit the Non Euclidean explanation page. As you can see, the fifth postulate is radically different from the first four, and Euclid was not satisfied with it, so he tried to avoid using it in The Elements. In fact, the first 28 theorems in The Elements are proved without the use of the fifth postulate. a) The summit angles are > 90 (hypothesis of the obtuse angle). b) The summit angles are < 90 (hypothesis of the acute angle). c) The summit angles are = 90 (hypothesis of the right angle). Legendre showed, as Saccheri had over 100 years earlier, that the sum of the angles of a triangle cannot be greater than two right angles. This, again like Saccheri, rested on the fact that straight lines were infinite. In trying to show that the angle sum cannot be less than 180 Legendre assumed that through any point in the interior of an angle it is always possible to draw a line which meets both sides of the angle. This turns out to be another equivalent form of the fifth postulate, but Legendre never realised his error himself. 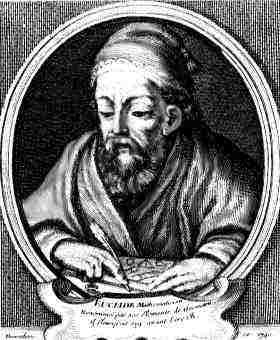 In the theory of parallels we are even now not further than Euclid. This is a shameful part of mathematicshttp://www-groups.dcs.st-andrews.ac.uk/~history. In 1823 Bolyai wrote to his father saying I have discovered things so wonderful that I was astounded http://www-groups.dcs.st-andrews.ac.uk/~history. out of nothing I have created a strange new world . However it took Bolyai a further two years before it was all written down and he published his strange new world as a 24 page appendix to his father's book, although just to confuse future generations the appendix was published before the book itself. 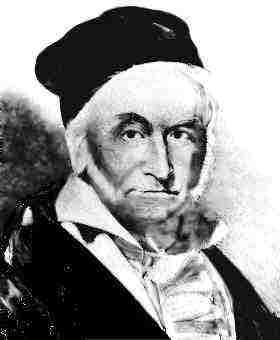 Gauss, after reading the 24 pages, described János Bolyai in these words while writing to a friend: I regard this young geometer Bolyai as a genius of the first order . However in some sense Bolyai only assumed that the new geometry was possible. He then followed the consequences in a not too dissimilar fashion from those who had chosen to assume the fifth postulate was false and seek a contradiction. However the real breakthrough was the belief that the new geometry was possible. Gauss, however impressed he sounded in the above quote with Bolyai, rather devastated Bolyai by telling him that he (Gauss) had discovered all this earlier but had not published. Although this must undoubtedly be true, it detracts in no way from Bolyai's incredible breakthrough. Riemann, who wrote his doctoral dissertation under Gauss' supervision, gave an inaugural lecture on 10 June 1854 in which he reformulated the whole concept of geometry which he saw as a space with enough extra structure to be able to measure things like length. This lecture was not published until 1868, two years after Riemann's death but was to have a profound influence on the development of a wealth of different geometries. Riemann briefly discussed a 'spherical' geometry in which every line through a point P not on a line AB meets the line AB. In this geometry no parallels are possible. You can see the graph of a tractrix and what the top half of a Pseudo-sphere looks like. Credit Due to The Mac Tutor History of Mathematics Non-Euclidean geometry page.